publish in Images on May 2nd, 2013 by tiki god | Report This Post | Click to Add to favorites | Tags: Awesome Things, Humor, Science! 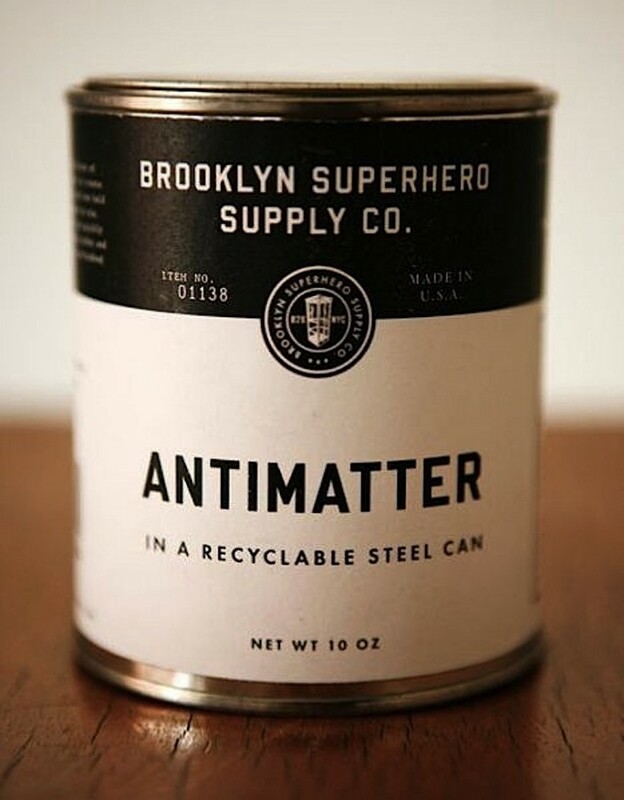 I doubt that antimatter and matter (steel recyclable can) is a good mix. They also sell gravity by the gallon, so I suspect they cost the inside if the antimatter can with it to keep the antimatter suspended. Yes. It’s located at 372 5th Ave, Brooklyn, NY. The store hours are generally 11am – 5pm, 7 days/week. However, the store is staffed entirely by volunteers, so it’s usually a good idea to call ahead on the day you’d like to come to make sure we are able to staff the store for that day. Been meaning to give this place a visit.